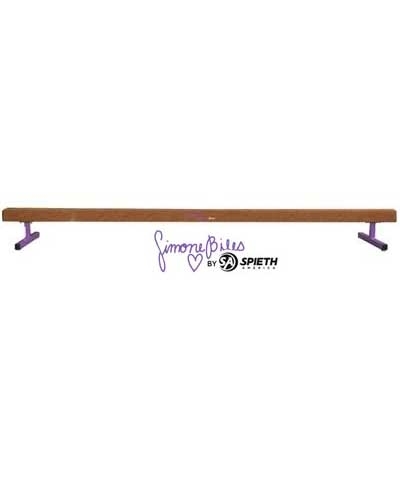 The Simone Biles Signature 12' Low Training Beam is 4" wide and 13" high. 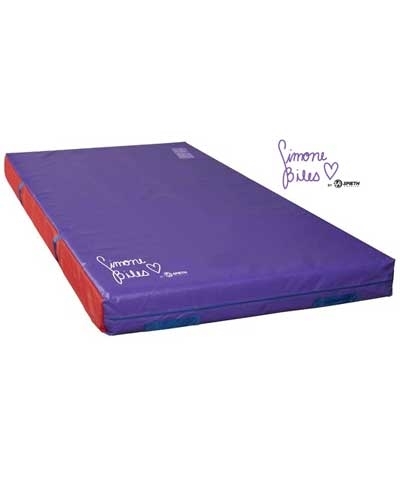 The body is covered in competition beam suede and the non-adjustable legs have non-marring rubber footpads and are powder coated in "Simone Biles" purple heavy duty durable paint. Features Simone Biles Heart Logo. Perfect for home or gym training.